Brought to you by ParkLane Homes, Southport single family homes in Surrey is a vibrant community found adjacent to the Nicomekl River and Nico Wynd Golf Course. Featuring open floor plans that invite you to kick back and stay a while, wrap around verandas, cottage style rooflines, and a choice of a great room or traditional floor plan, these single family Surrey houses for sale at Southport Homes are both spacious and refined. Kitchens at the Surrey Southport houses for sale are elegantly gourmet – ideal for entertaining guests or simply hanging out with the family. Ensuites at the pre-construction Southport Surrey houses for sale are lavish featurig luxurious soaker tubs, marble countertops, and separate shower stalls. And here’s a great extra – many Southport Surrey house for sale come with a fully finished basement included with the purchase price – perfect for a media room, yoga studio, home office or private work out space. When complete, the new pre-construction Surrey Southport home community will provide a total of 71 riverside houses for sale. Just released are seven new two level Southport Homes in Surrey’s real estae market. A few select basement Surrey houses for sale are also available at this time. Prices start from $671,900. The Southport presentation centre and fully furnished display homes are open noon to 5pm every day including Fridays at 14289 36A Avenue in sunny South Surrey real estate market. For more information about the new Southport Homes Surrey houses for sale, please call 778.292.0871 or visit www.southport.com. New Surrey Homes at Hudson Crossing Now Selling! The Grand Opening for the three fully furnished showhomes at the Hudson Crossing Surrey single family homes real estate development is opening on November 15th, 2008. Exceptional single family Surrey homes with legal rental suites and coach houses in the heart of Clayton Village Hudson Crossing Surrey property community is now selling. Why buy a strata townhouse or settle for anything smaller, when you can own exactly what you want at Hudson Crossing Surrey homes today? Own you rown 2,500 square foot plus single family home in Clayton Village Surrey with monthly payments of $1,770 with only 5% down – when you factor in your legal, two bedroom front enetry basement suite or office – or choose to keep all the extra space for your growing family. 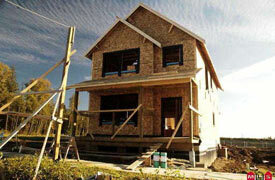 Prices from $449,900 only at the pre-construction Surrey Clayton Village Hudson Crossing single family homes for sale. Affordable luxury, proudly built by Benchmark Homes, a trusted and well experienced local builder for prestigious homes. Premium features at the pre-construction Clayton Village Hudson Crossing homes in Surrey include solid hardwood flooring, premium kitchen cabinetry, full granite kitchens with large islands and dramatic gas fireplaces. Call Don at 778.574.0493 at Homelife Benchmark Cloverdale for more information or you can visit the Hudson Crossing Surrey show homes open 1 to 5pm except Fridays at 18878-68th Ave in Cloverdale. A great feature of these impressive new Surrey homes in the Clayton Village neighbourhood include a mortgage helper in the form of a legal two bedroom suite that you can rent out. Not only will this provide a great income source for paying part or all of your mortgage, the new Surrey single family homes at Hudson Crossing Clayton Village will also be a master planned family oriented community where you and your family can grow old knowing that the value of your property will continue to rise. The spacious apartment rental suite at the new pre-construction Hudson Crossing homes in Surrey have lots of natural light and are far better than any other basement suite and your tenants wil not only have a front entry way to their suite, but also a private patio and backyard so that they have outdoor entertainment space as well. The entire Clayton Village real estate development at Hudson Crossing Surrey homes includes twenty six spectacular houses located at 18878 68th Ave in Surrey. Affordably priced from $499,900, it’s possible to own a new Surrey home from just $1,565/month when you utilize the legal two bedroom suite at Hudson Crossing Clayton Village. 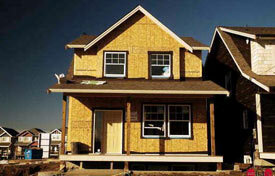 Be sure to ask about the Hudson Crossing home’s option to finish the basement suit so it’s ready to go. Sales previewing is now happening at Hudson Crossing in the Clayton Surrey real estate district. These 2,500 square foot new Surrey homes come with all the extras – solid hardwood flooring, premium cabinetry, granite counters and dramatic gas fireplaces. The pre-construction Hudson Crossing homes in the Clayton neighbourhood in Surrey are affordably priced homes from just $475,000 and can be owned for just $1,565 per month when you utilitze the legal, two bedroom basement suite with front entry. The presale Clayton Hudson Crossing Surrey homes celebrates their grand opening on November 15th. The Hudson Crossing Show Homes are now open one to five daily except Fridays at 18878 – 68th Avenue in Surrey’s ever evolving Clayton real estate neighbourhood. For more information, please contact Don at 778.574.0493.